Being in the financial planning space for over a decade now, we have helped over 12,000 individuals in meeting various life goals. 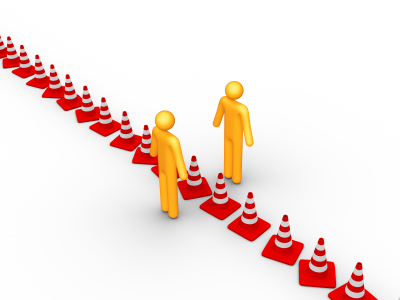 In our interactions with our clients, we have come across a similar dilemma faced by many. Yes, managing the cash flow is a challenge, for many individuals. 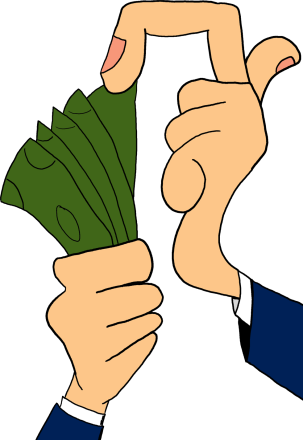 Even after earning a decent income for their living, many individual do struggle to keep their cash flows in positive. We all have dreams and aspirations. We want to provide the best life style to our self and our family members. And in this competitive world, we struggle to compete with our friends, our neighbours, our relatives and many such people whom we know. Somehow they become our inspiration, when it comes to living a life style. Do not forget: while you wish to have all the fancies and luxuries in life, which are a mere desire, it could have an impact on your personal finances as well. If you aren't living within your means, you may possibly get into a debt trap. Once you understand the difference between your need and your desire, you would be more comfortable in managing your finances or cash flows. 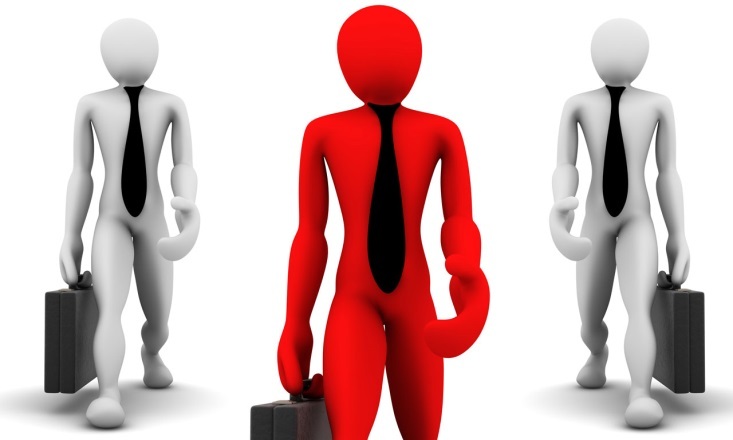 We all aspire to put our best to make a decent earning to fulfil our needs. 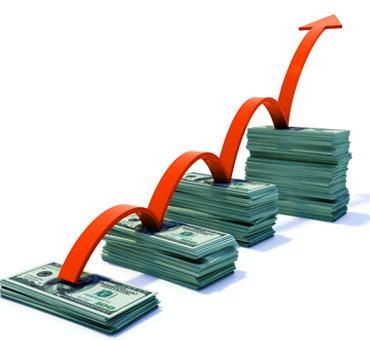 All the cash inflows or income from one or more sources are your earnings, which you can utilise towards your needs. 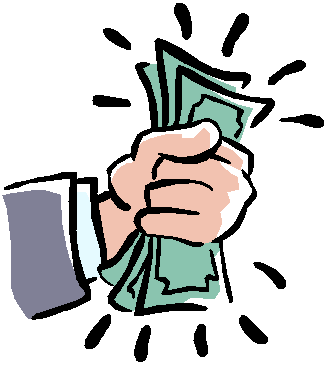 Salaried individuals usually have a single source of earning i.e. their monthly salary. 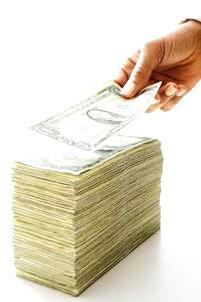 While considering your cash inflows, you should consider your net salary that you get in hand as your income, i.e. you should not include the statutory deductions and taxes that form a part of your CTC but which you would not take home. So as you can see, after claiming all eligible tax saving benefits, the statutory deductions and taxes may easily trim your income by 10% to 30%. You cannot use the money that you do not get in your hand. So consider your net income as your cash inflow. There may be some limitations in estimating your future income from business and profession, as it may vary based on business conditions. So what should you do in such a case? You should ask yourself, "Is there a way to get your expected income from business?" If yes, go for it. You know that your expected income would just be an estimate, but it should reflect the right trend and give a clear picture. Taking average of your past income may be helpful to judge the trend. For this you can consider the income you have drawn from your business over the past 1 year, 2 years or even 3 years. You can refer to your past ITRs (Income Tax Returns) to arrive at a precise number, provided your accounts aren't window-dressed. In this example, we have assumed that over the past 3 years, the total income drawn from business (for personal use) is Rs 27 lakh. So it gives an annual average of Rs 9 lakh and monthly average of Rs 75,000/. If conditions remain the same, your future income from business / profession may reflect a similar trend going forward. 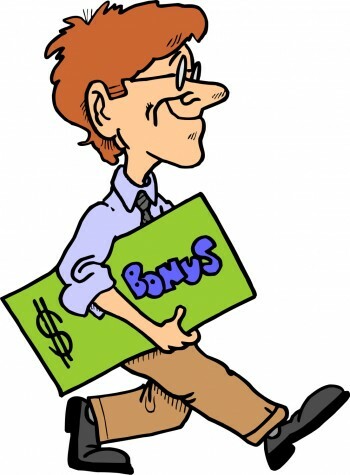 Even if you are a salaried individual or own a business, getting a big amount in the form of annual bonus or wind fall gains, should not be ruled out. While calculating your cash inflows, you should not avoid such incomes as they can be utilised by you to meet your needs.It is true that you may not know the exact amount in advance and it can highly deviate from your estimation. But if you are sure about getting them in the coming years, then be conservative and take the lowest estimation. Such windfall gains / bonus may be helpful in paying off a part of your debt, or fulfilling some key needs that are expensive. 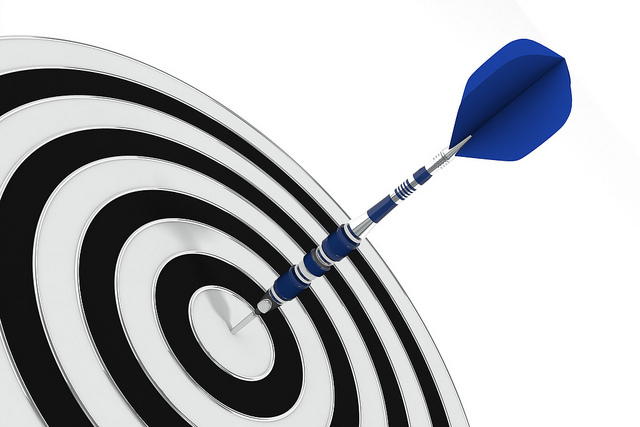 You should prepare a list of commitments that can be fulfilled from such onetime inflows. Dividend and interest income are an important source of cash inflows for many individuals, especially the ones who are retired. Senior Citizen Savings Scheme (SCSS) etc. Which can provide you income at regular intervals. They can be a great source of income. Many individuals, especially very senior citizens rely on these sources of income in the absence of any other source of income. You see, often individuals in the lower age group happen to ignore such incomes. Most of them end up keeping their hard earned money in savings account, which earns returns at just 4% p.a., as against compounding their hard earned money by investing in suitable avenues. Market Value (Rs) Yield / Rate p.a. You should not forego such dividend and interest incomes. Do not forget, that you have earned them by investing at a higher rate by taking higher risk. It makes sense to include them in your cash inflows, and see how they can be efficiently utilised. They may help you pay some of your monthly utility bills. In case you do not need them, you can club all such incomes to re-invest them at a rate higher than your savings bank account. Having an alternate source of income provides an added security. If you have multiple properties, you can generate an alternate source of income, called 'Rental income', by letting out the one that is not self-occupied. As rental incomes are more likely to be fixed for the next few months, they can become a part of your cash inflows. Including them in your cash flows may help you plan your finances better. It will also help you prepare your plan B, in case such rental income stops suddenly. 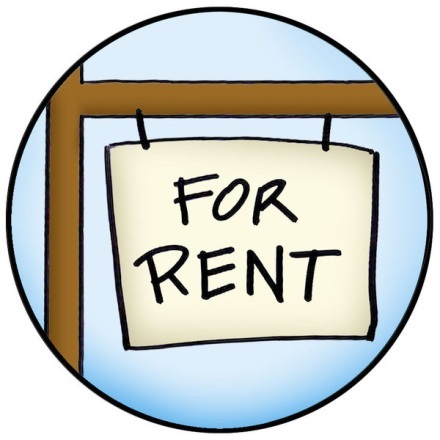 Do not forget, property prices being high, there is a high demand for residential apartments available on rent; especially in metros and Tier 1 cities. In case you have any such apartment lying ideal, you should immediately put them to use to earn that additional income. They may add to your cash inflows and lessen your burden. Apart from the incomes we just talked about, there may be other sources of income which you can generate from your personal interest and hobbies. You should think about ways to monetise your hobbies and interest. If you are able to do so, then it can be used to fulfil your desires and improve life style. Do not forget, such income may or may not be regular, so you should not rely on such income to fulfil your basic needs. Now this brings us to the other side of the cash flows, i.e. cash outflows. You may have various needs. Some may be basic, some may be essential, some less important and some a mere desire. Best is to prioritise your needs. You should first define what you need and what you want. Your monthly groceries, your utility bills, travelling allowances, children education fees etc., are your basic needs. 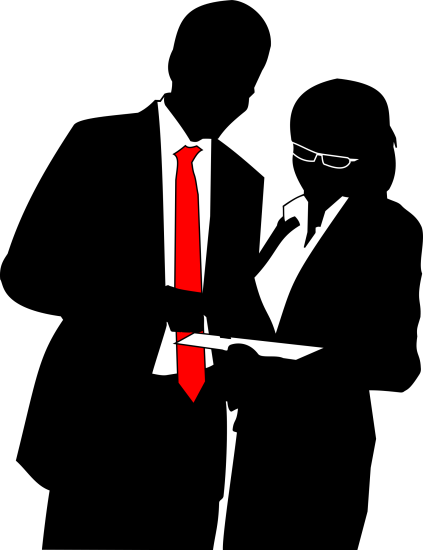 Your clothing and lifestyle / entertainment are your essentials. Also consider your EMIs on housing loan, investments and insurance under your essential needs. Dining at a 5 star hotel or buying an expensive gadget or latest iPhone may be a less important need. Buying a luxury car or that duplex in a posh location may be a mere desire. Once you have defined your needs and differentiated them with your desire, the next step would be to compare them with your income. 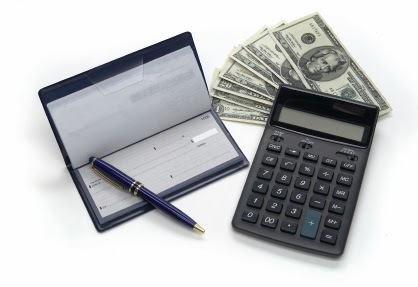 The best way to do this is to record your expenses and evaluate each of them in detail. You should know what are the goods and services you bought and how much you spent on them. 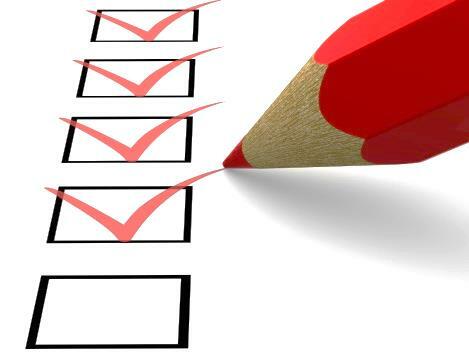 Once you list down your expenses, you will find some or the other expense where you are overspending. Soon you would realise, that you could have done without such unnecessary expense. 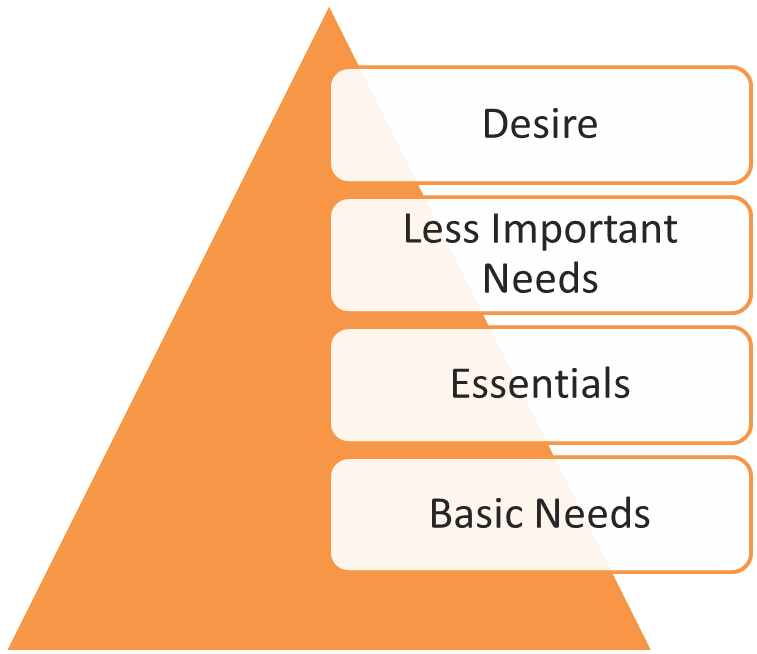 Is the expenditure on your essential needs higher than your basic needs? Ask yourself - Did you overspent on any of those? Like did you spent more on your food bill at a 5 star hotel? Is there an option to cut down on such cost? Is the latest gadget you bought 2 months back available at a lower price now? Did you really need that gadget 2 months back or could you have waited for some more time? Note down the spending's that are not required or least required. Like, you may be having a subscription to a magazine or a newspaper that you have no time to read or have stopped reading. Stop renewing such subscriptions. The money saved can be used to pay some of your utility bills. Now that you know your various needs and the various sources of income, you should compare it with your income. Make an annual budget. If you see that you are falling short of achieving your needs then postpone the ones that are less important or mere desire to the next year. If your comparison table shows a similar deficit, where your expenses are exceeding your income; then postponing some of your less important needs to the next year would be helpful. You would comfortably get closer to meeting your needs. Do not overspend. Try to economise. Being economical can help you successfully plan a hassle free retirement. You would not be able to keep your expenses under control, unless you define an upside limit. Keep a clear track of your expenses. See where you overspent in the last month. Was it a planned expense or was it a sudden expense. Is there a way to offset the overspent money in the current month itself, or do you need to offset it over coming months? Such exercise is necessary for you to stay within your means. Setting a limit on each of your expense may help you keep your overall expenses under control, thus keeping your cash flow in positive. Do not lose focus on what you want to achieve. Even after applying the points we just discussed, chances are you may see that you are unable to keep your estimated cash flow in positive. So you will have to find a way to make it positive. While going shopping, look for additional discounts and offers which enable you save. You see, many supermarkets offer additional discount and freebies on groceries items. This can help you make decent savings while buying your groceries. Many food joints offer discount coupon. Find out such coupons to save on your dinners. Online shopping portals are another way to get popular and branded products at lower price. Moreover they save on your time, energy and fuel bills. Apart from the additional discounts that they offer, they also get the goods delivered at your door step at zero extra cost. As we mentioned earlier, you should consider your investment and insurance as your essential needs. Making them a part of your monthly or annual budget would be sensible. Moreover, you should inculcate a systematic investment approach and allocate a portion of your income - say 20% of your income can be dedicated towards your savings, investments and insurance. Once you have set a target for your monthly investments, you need to ask yourself - "Will my savings be enough to sustain for post-retirement period?" If you get the answer as 'Yes', then you are on the right track. If your answer is 'No', then in that case you will have to reconsider your investment allocation and invest more. Do not forget to take into account the inflation factor, as it would have an impact of eating into your hard earned savings. If you are still young and earning, this question may not be a concern. But it may be an important question for those who have already retired. Many retired individuals have hard time managing their expenses. Once you retire you do not have any regular monthly income to take care of your expenses. So what you got to rely on is your savings and investments. And as we mentioned earlier, some financial products such as pension plans from insurance companies, dividends from mutual funds / stocks, interest from Bank FDs, POMIS and SCSS; can provide you income at regular intervals. We generally recommend investing in various financial products and not rely on only one, as all of them have different features. 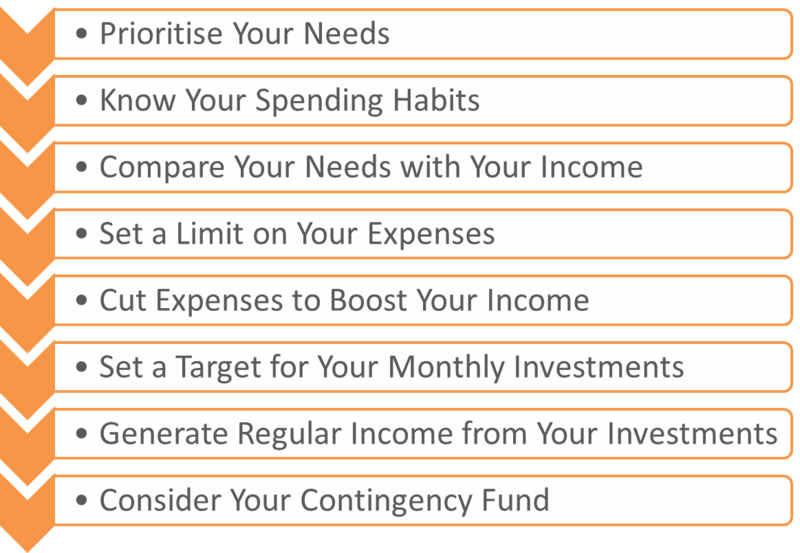 You should always keep aside 1 to 2 years of your regular expenses or 6 to 12 months of your income as a contingency fund. In bad times, it may take care of your expenses for few months. 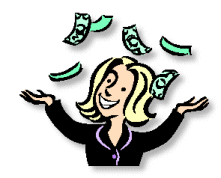 Unexpectedly you may miss any of your alternate income that you planned in your regular cash inflows. You see, you never know when you will face an uncertain event such as breakdown of your car or your gadget, or any medical emergency which may force you to trim a portion your savings and prove costly. A contingency fund may help manage your outflows without hampering your regular planned expenses. Moreover there may not be an additional burden on you, which could enable comfortably dealing with such events in future. 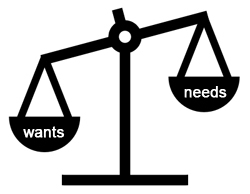 Differentiate your needs with your wants. Think twice before making any big spending's or purchases. If you are in a dilemma, give yourself time to judge 'if you are ready for it'. 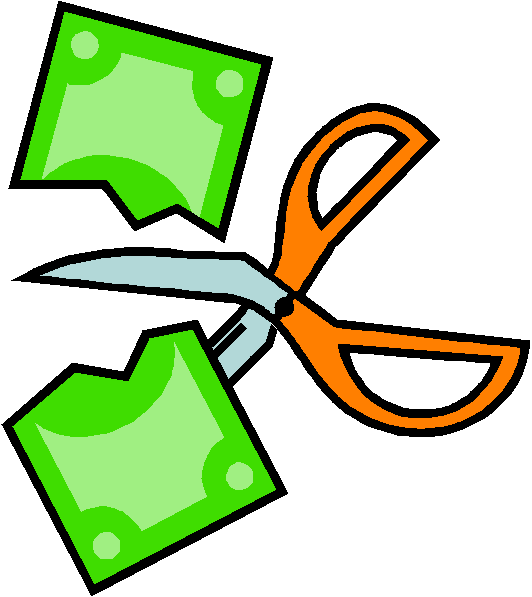 Cut some of your unnecessary expenses like hotel bills, entertainment bills, costly vacations etc. it may improve your cash flows. Borrowing an article from your friends is not bad if it can help you fulfil any of your less important or temporary needs. For example, it is not necessary to spend on a costly book or a set of DVDs if you can borrow it from a close friend. Prepare a list to know where your money is being spent. Preparing a pre-shopping list can save you from unnecessary expenses. If you aren't living within your means, you may possibly get into a debt trap.